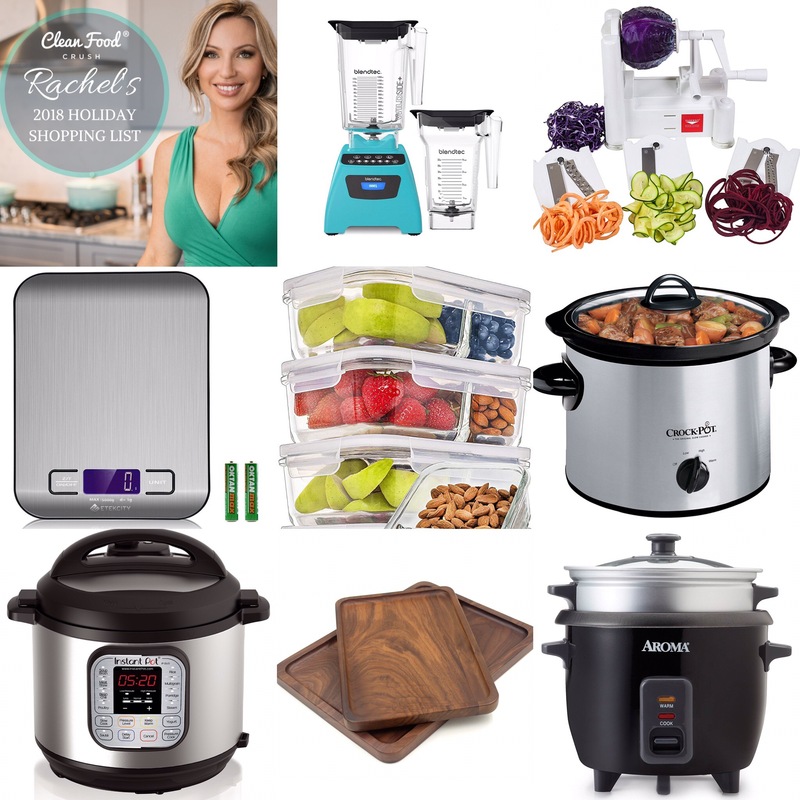 Rachel Maser’s 2018 Holiday Shopping List! Our family has gone through so many changes this year, including moving into a new home and getting super organized! During the holiday’s, one of my favorite things to do is prepare beautiful and CLEAN food and celebrate with loved ones. 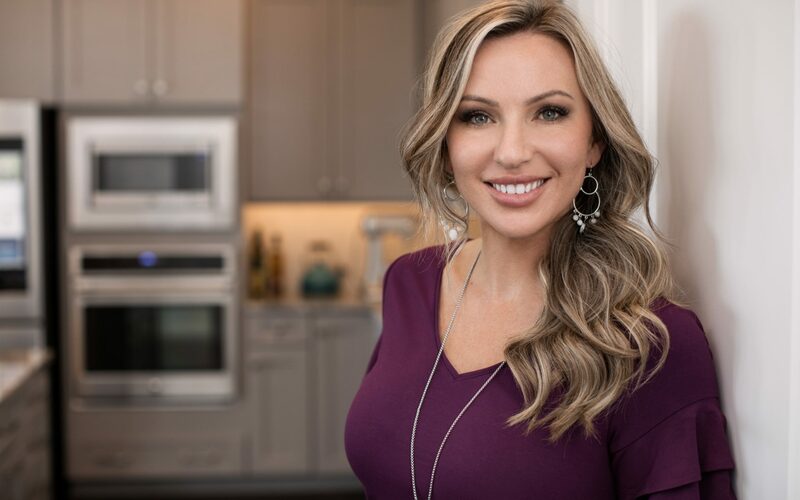 That’s why my holiday list consists of a few incredibly valuable kitchen tools and gadgets that I use in my own home on a daily or weekly basis. This year I really wanted to keep it SIMPLE for you. So here are 9 of my top recommendations for gifts for yourself, or a loved one this holiday season. 1. 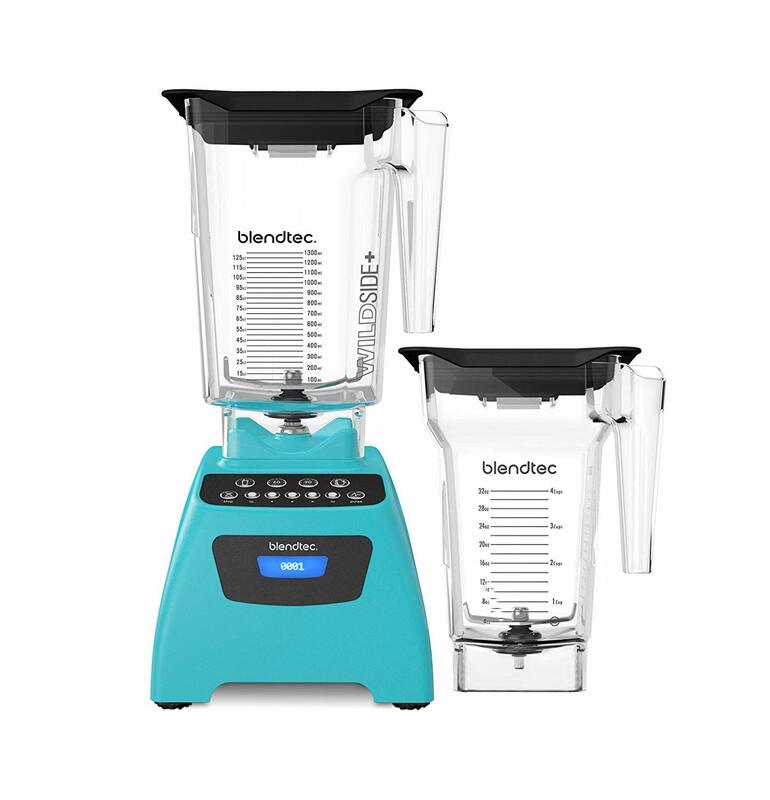 I LOVE using my Blendtec Blender for soups, sauces, dressings, and smoothies. Using a high-powered blender makes food prep so much easier and faster. It’s more of an investment up front but the warranty is great and you’ll save so much time and hassle. Shop for this Blendtec on Amazon here. 2. If you’ve been following me for a while now, you know how important meal prep is when it comes to Clean Eating. These glass-meal prep containers are a MUST have for anyone who is planning to start cleaning up their lifestyle in the New Year. These make a great gift for yourself or a loved one who has fit goals! 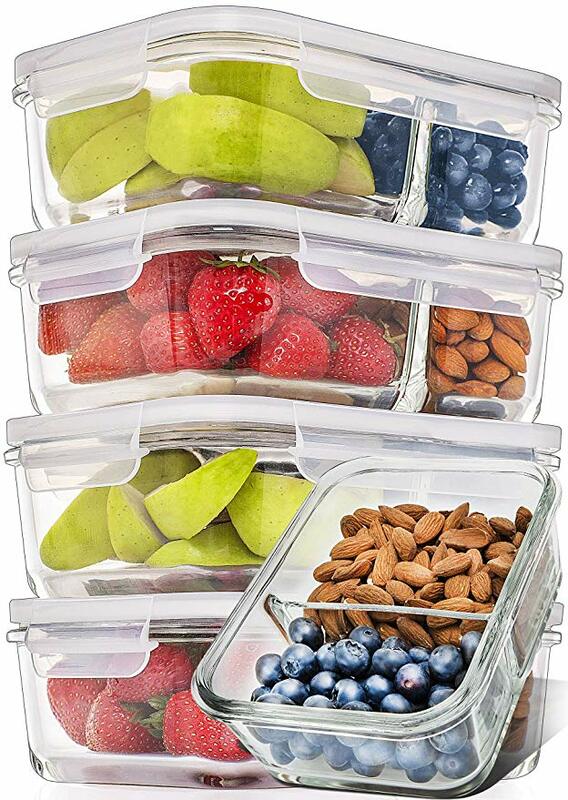 Shop for these glass meal-prep containers on Amazon here. 3. This spiralizer is on every single shopping guide I have ever created. It’s a tool that I use so frequently and recommend to everyone! I love it for Clean Eating, and make so many delicious noodle recipes using this affordable kitchen gadget. 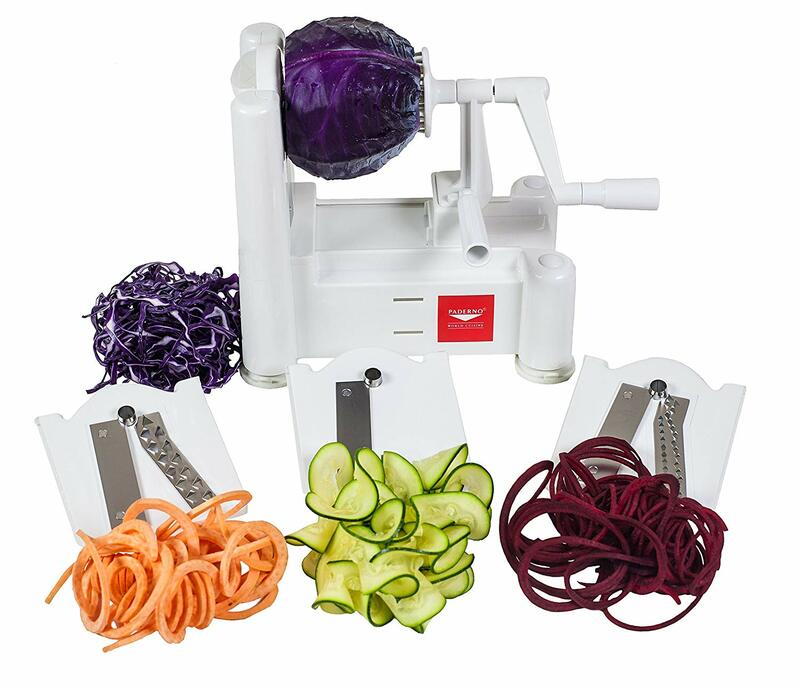 Shop for this spiralizer on Amazon here. 4. You won’t need to weigh your food for the rest of your life, but when you’re first getting started with Clean Eating or you have a weight loss goal, a food scale is a very important tool. This will help you learn what portion sizes are accurate, and not just prevent you from overeating, but also make sure you’re getting enough! That’s the great thing about eating clean, you get to eat more food because it’s REAL! 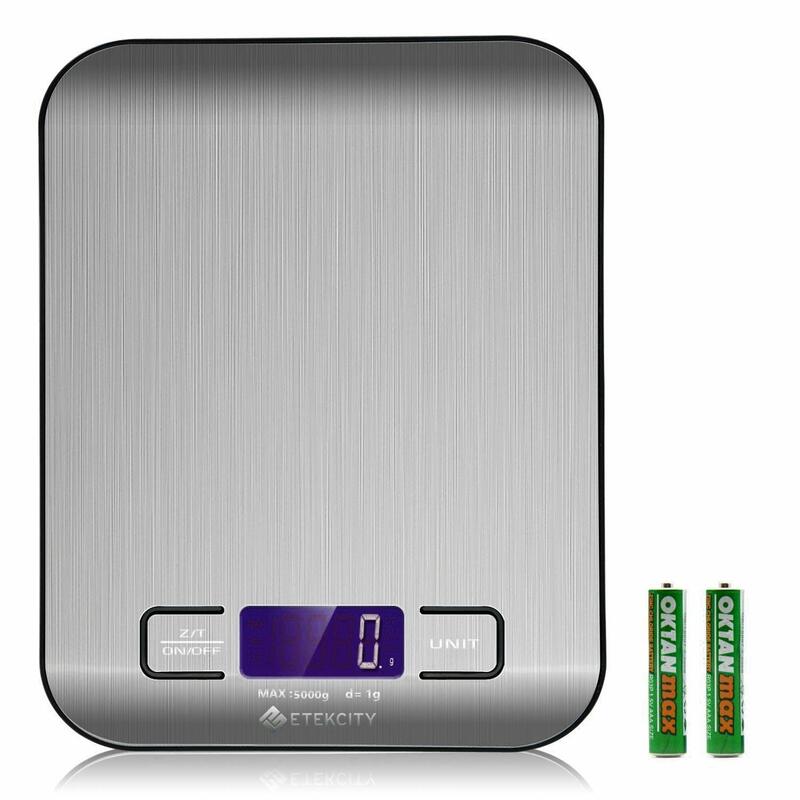 Shop for this digital food scale on Amazon here. 5. This makes for the PERFECT rice every time, and it’s one less thing to think about when you’re making dinner on busy weeknights. 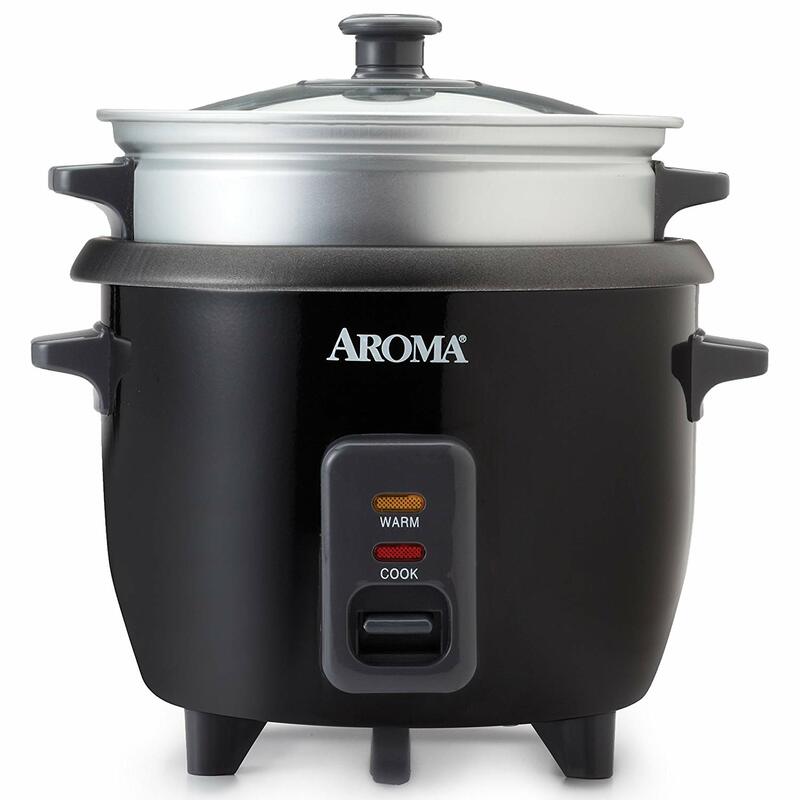 Shop for this rice cooker on Amazon here. 6. My crock-pot is a total saving grace! With such a big family, prepping ahead and having crock-pot meals on hand is so essential to making sure we’re all Eating Clean! You’ll find TONS of amazing crock-pot recipes here on the blog. This is another great gift for yourself or someone you know who wants to start or continue with their Clean Eating lifestyle this New Year. 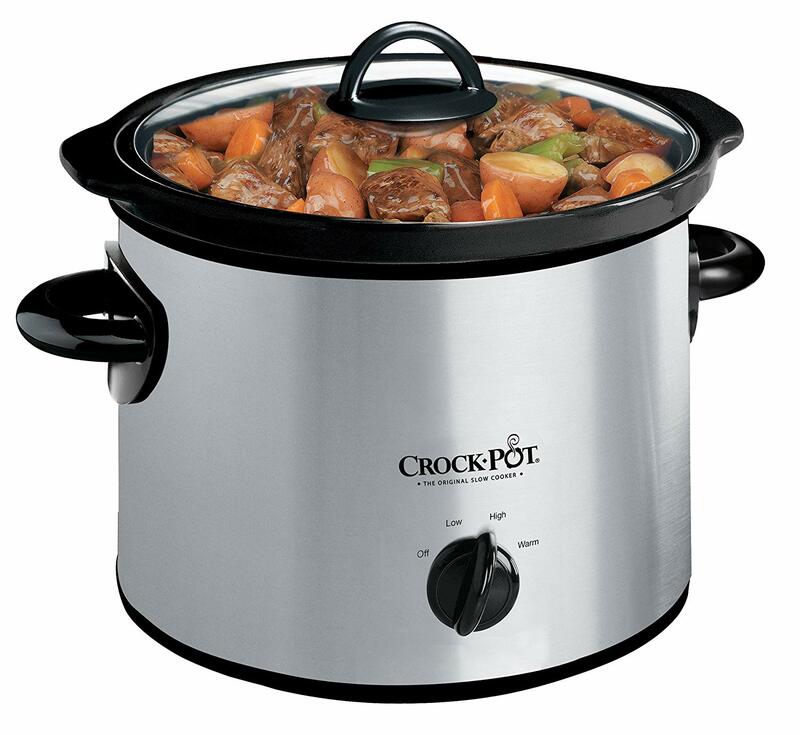 Shop for this crock-pot on Amazon here. 7. Instant pots are different from slow cookers in a few ways. They cook much faster and at a higher temperature, and they are sealed so no steam or smell escapes from the pot. I love using my crock-pot, but if you find you’re often in a hurry and need to make dinner on the fly, instant pots can be an amazing tool in the kitchen. 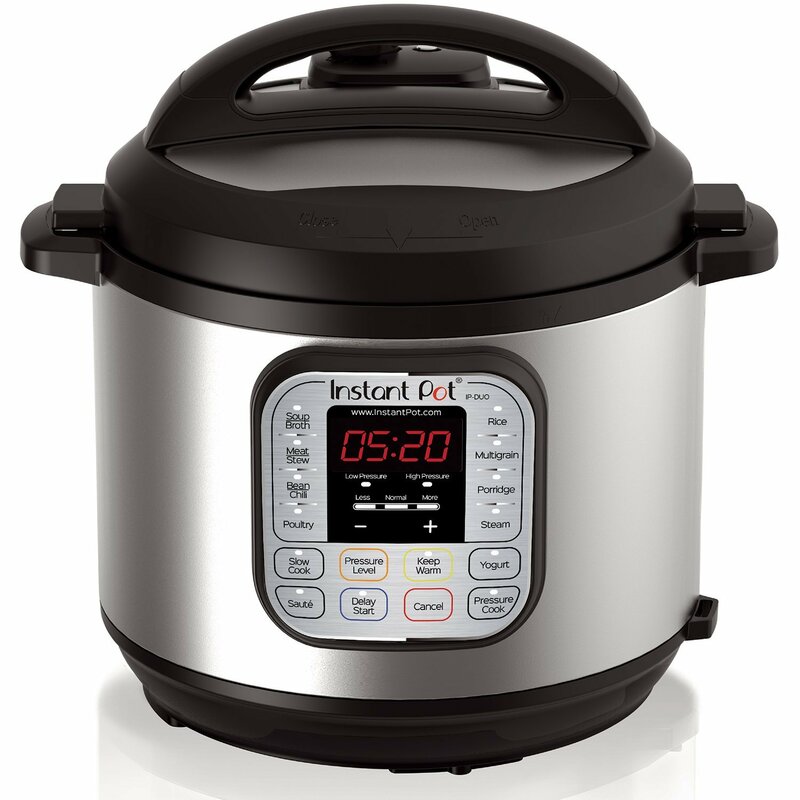 Shop for this instant pot on Amazon here. 8. Food presentation is everything! 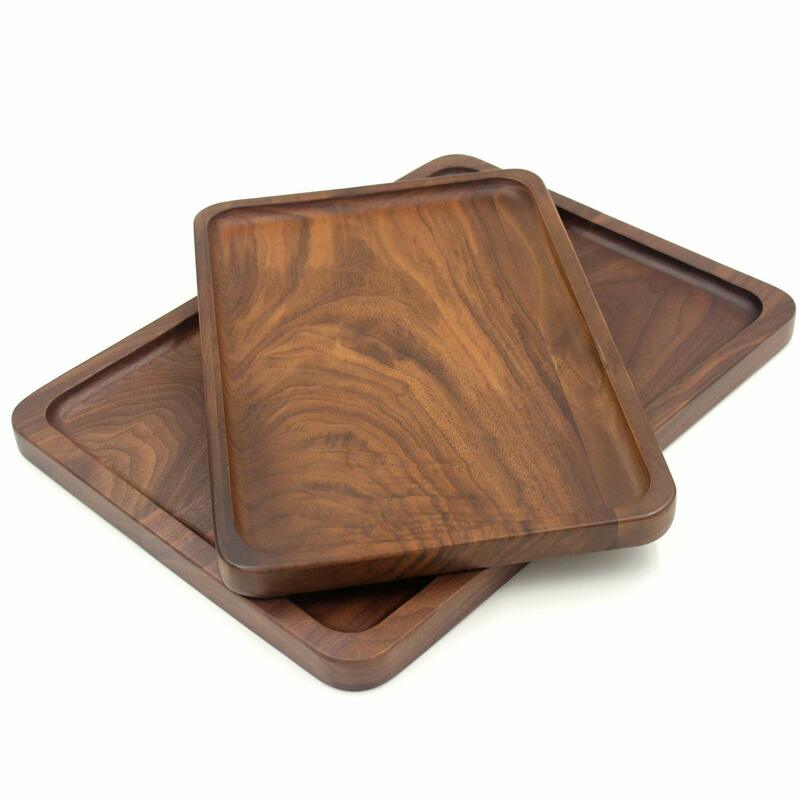 Impress your guests and make your food look beautiful on these gorgeous walnut serving platters. You’ll find lots of fun, creative and Clean platter ideas here on the blog for inspiration too! Shop for this walnut serving platter on Amazon here. 9. There is absolutely NO denying that fried foods taste good… but how do they make you feel!? Pretty awful! I love how simple using an air fryer can be. No more oils, quick and Clean Eating approved. 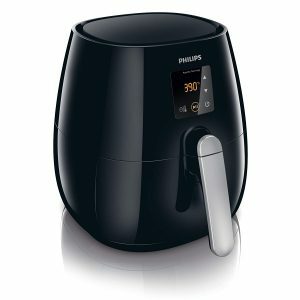 Grab the Philips Air Fryer on Amazon here. 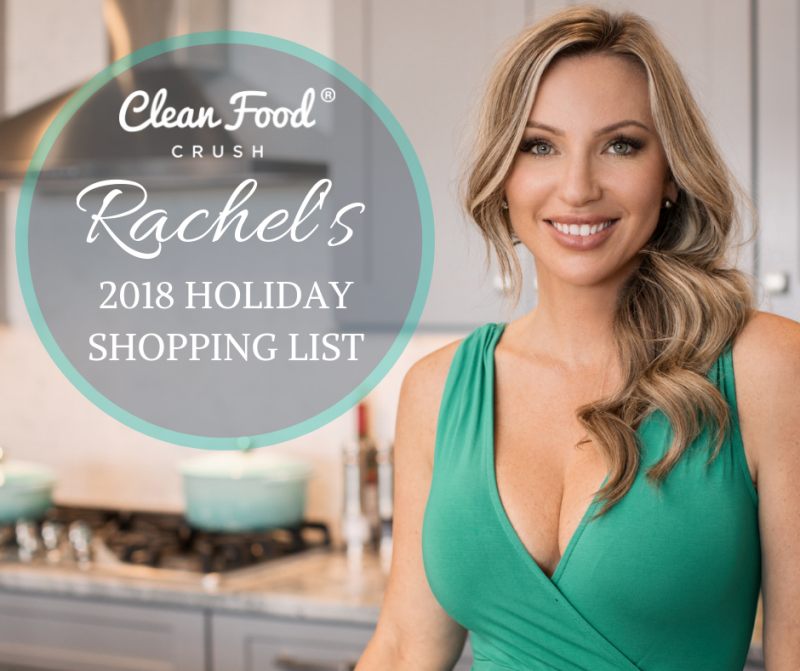 Keep an eye on the CleanFoodCrush blog for TONS of amazing holiday recipes that will create memories for years to come and make you a legendary kitchen queen!